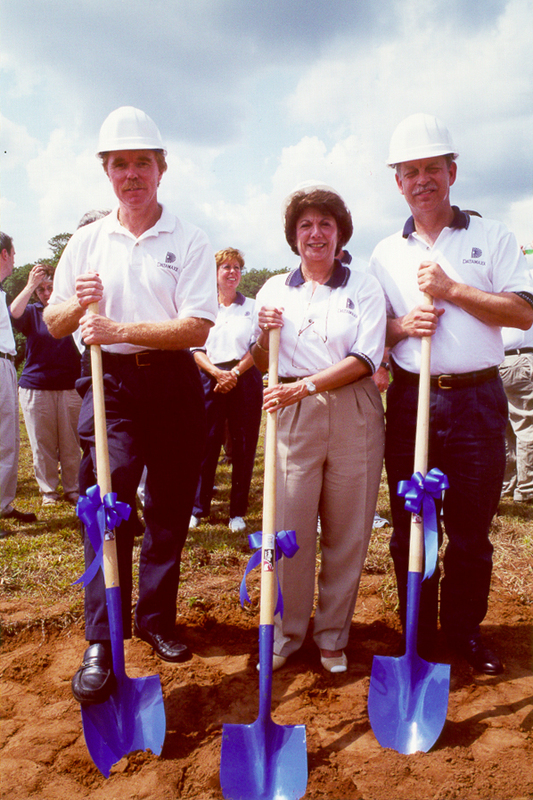 In 1991, Jonathan Waters and I shared a passion to build a company to improve mission critical communications and to encourage information sharing for those on the front lines protecting our communities. Our vision soon became a reality and our successes multiplied. From our beginning, innovation has been the hallmark of who we are and what we do. Datamaxx became the first company to transmit images between state law enforcement agencies. In 1999, Datamaxx deployed the first wireless handheld application to the New York City Police Department. Then in 2003, Datamaxx became the first Strategic Partner of Nlets and launched the first Nlets-audited, FBI CJIS Compliant private secure cloud. Once again, in 2014, Datamaxx enhanced our product line to encompass solutions for “designated” critical infrastructures, eighty-five percent of which are owned by the private sector. These are just a few Datamaxx “firsts” and only the beginning of what is yet to come! Our passion continues to burn brightly and is shared across the entire Datamaxx organization. We always want to bring to our customers ideas and solutions that no one else does. We want the opportunity to work with our customers to positively impact our world. As we look to the future, where security is of paramount concern, Datamaxx aims to bridge the gap between the public and private sector. We will develop new ways to help our law enforcement partners harness the power of timely and effective information sharing to protect our nation’s critical infrastructures and key resources. Recently, I was elected to Chair the Board of Directors of the IJIS Institute; IJIS facilitates collaboration between private companies and government agencies. Keeping our communities safe is more challenging every day and developing trust and cooperation in public/private partnerships is crucial to ensuring the continued safety of our homeland and its citizens. Of course, Datamaxx success would not have been realized without the amazing support of our customers and the relationships we have nurtured over the years. On behalf of Datamaxx, please accept our sincere “thank you” for the privilege of working with you and for you. We remain committed to the law enforcement and criminal justice market, and as we embark upon our next twenty-five (25) years, we will continue to innovate and evolve to the changing needs of our customers. 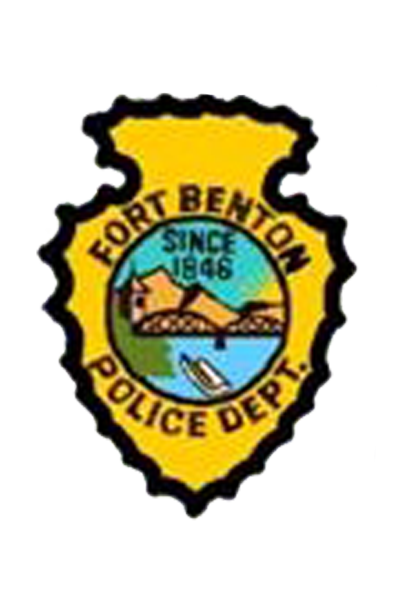 We are dedicated to helping law enforcement and critical infrastructure private sector entities partner together to build a vital and secure information environment to make our nation safer. “Thank You So Much” for the privilege to serve you! Datamaxx is widely known in our industry for our premier customer support, and we are pleased to bring our customers yet another tool to get the most out of their Datamaxx solutions: the DMX Members Portal. 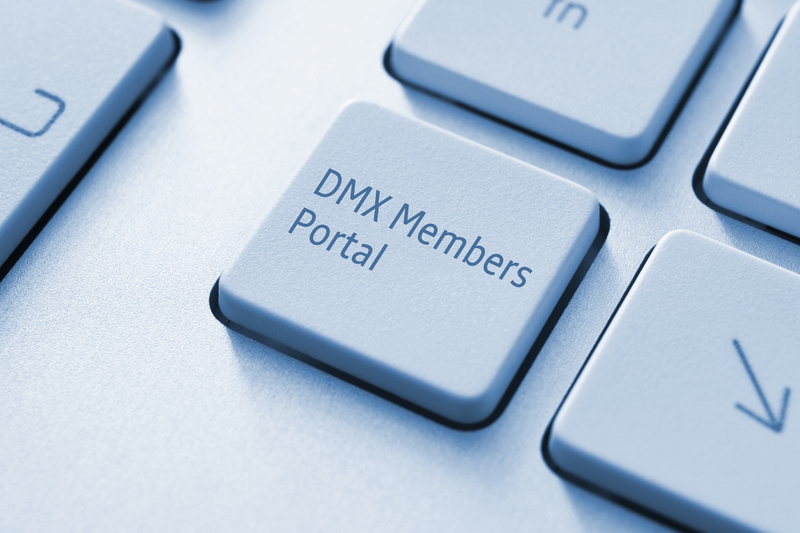 The DMX Members Portal, reserved for Datamaxx customers only, gives customers access to timely news and information important to them. Members are able to view “members-only” content such as frequently asked questions and technical bulletins. In addition, members can take advantage of our popular Take-30 Sessions – FREE web-based trainings on Datamaxx products. We encourage customers to register today for a DMX Members Portal account. We at Datamaxx are always looking for new ways to improve our customer experience. If you have any suggestions as to how we can better serve you, our customers, through the DMX Members Portal, feel free to email marketing@datamaxx.com. 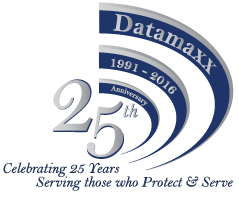 Can you believe today marks 22 years since we opened our doors at Datamaxx? Where did the time go? We have come a long way since opening that tiny 600-square-foot office where Jonathan Waters and I closed our first contract with the State of Nebraska. As we enter our 23rd year, we are once again faced with new challenges and an ever-changing market. It is certainly no secret the market has changed and budgets are tight in the law enforcement, public safety and criminal justice markets. But, as we know, necessity is the mother of invention and our optimism springs eternal. All of us at Datamaxx welcome these challenges as new opportunities to explore innovation and develop creative solutions for the customers we serve to keep our country safe. Now more than ever, professionals in the public sector are realizing the value of public-private partnerships to improve information-sharing and therefore strengthen the security of our nation and its citizens. The movement to cloud-based technology is an excellent example of such forward thinking. We at Datamaxx have a history of forging these types of public-private partnerships, which have lead to innovative technology solutions while reducing the resource burden on our government entities. Datamaxx formed industry-first strategic partnerships, including becoming the first Strategic Partner Organization of Nlets. The Datamaxx Secure Cloud™, with a pending patent, boasts a number of local, state and federal customers. It became the first CJIS-compliant private cloud in 2003, and is now used nationally by the U.S. Office of Personnel Management and supports a world-wide deployment for the U.S. Department of State, providing every U.S. Embassy access to CJIS data. Though our industry is full of challenges, it is rewarding to know that all of us here at Datamaxx play a role in the protection of our homeland. I feel truly blessed to have been able to share these past 22 years with some of the most dedicated employees as well as customers who are true heroes, who risk their own lives on a daily basis to safeguard our country’s way of life. I look forward to many more years of milestones and innovation. Thank you to everyone who has been a part of our grand adventure. Let us all remember, the best is yet to come! The Datamaxx Group (Datamaxx) recently was named one of Florida’s 2013 Top Women-Led Businesses by The Commonwealth Institute (TCI), a distinction it has earned for seven consecutive years. The rankings are based on an annual survey conducted by TCI and Moore Research of more than 200 women business leaders in Florida. Datamaxx ranked 21st and was one of only two Tallahassee-based companies included on the list. 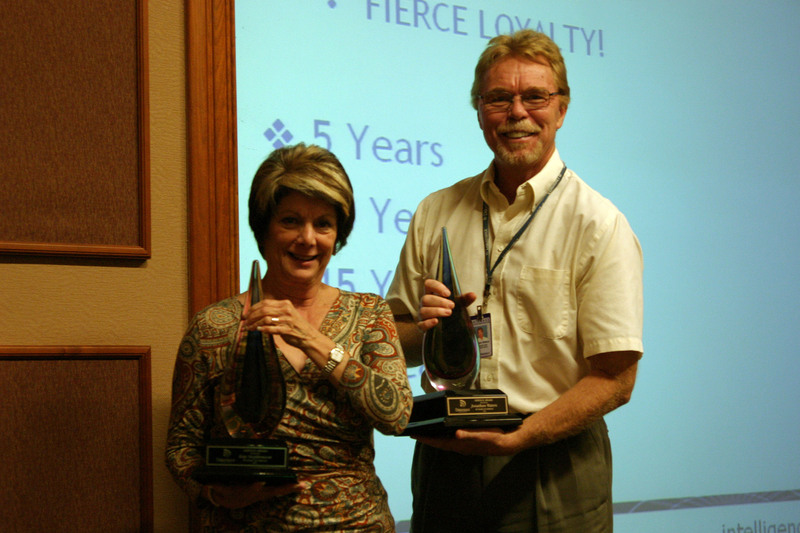 The survey results were announced at a luncheon on Tuesday, March 19, 2013. The Commonwealth Institute in South Florida is a non-profit organization that helps women entrepreneurs, CEOs and corporate executives build successful businesses through peer mentoring programs. In addition to looking at the characteristics of women leaders and their businesses and determining the Top 50 Businesses, the survey found that more women-led organizations (53%) are more optimistic about current economic conditions in Florida, with many expecting continued improvement through 2013. Datamaxx, which opened in 1991, is led by CEO, President and Co-Founder Kay Stephenson. Headquartered in Tallahassee, Fla., Datamaxx is the premier provider of advanced communications, data access, information sharing, enterprise intelligence, and access control solutions to the law enforcement, criminal justice, public safety, and security industries. Datamaxx is a privately held, Florida certified and woman-owned enterprise serving over 70 percent of the law enforcement communications market with more than 750,000 end users in North America, Canada, Guam and Puerto Rico. Datamaxx customers consist of private security companies as well as local, state and federal agencies including the Federal Aviation Administration, Federal Bureau of Investigation, City of Miami Police Department, New York City Police Department, Royal Canadian Mounted Police, U.S. Coast Guard, U. S. Department of State and U. S. Office of Personnel Management. To learn more about Datamaxx Group, Inc., email Marketing@Datamaxx.com or visit www.datamaxx.com. To learn more about The Commonwealth Institute, visit www.commonwealthinstitute.org. Montana public safety agencies can now reap the benefits of using a cloud environment for criminal justice information sharing, and do so free of security concerns. The Montana Department of Justice (MDOJ) recently reached a Memorandum of Understanding (MOU) with the Datamaxx Group (Datamaxx) to allow all Montana public safety agencies to utilize the Datamaxx Secure Cloud. Datamaxx Secure Cloud Solutions provide direct access to private law enforcement networks and homeland security information sources via the industry’s first and only FBI- and Nlets-audited cloud.